It’s that time of the year where the weeks seem to merge into one and you find yourself forgetting what day it is. So (if you needed one) we have the perfect excuse to drink rum midweek – this Wednesday 16 August is National Rum Day! 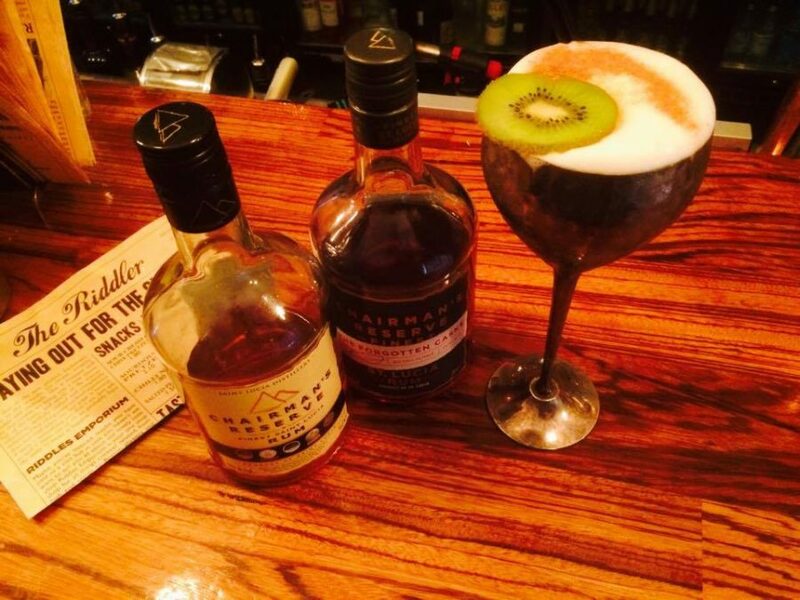 Whether you prefer white, dark or spiced rum, we have something for everyone here at Riddles. However, today I want to tell you about our favourite aged rum, the award-winning El Dorado 25 Year. El Dorado rum is crafted to perfection in Demerara, a place historically known for rum and sugar production. The tradition of rum-making has been passed down from generation to generation for three centuries, with the El Dorado distillery being the last remaining on the banks of the Demerara river. Most rums are aged in oak barrels for flavour and this rare release is no exception. This fine rum has been aged for 25 years and because of the lengthy aging process, it is something truly special. On the nose it is sweet, lending it an almost caramel brown sugar scent. It is an incredibly smooth and well-balanced rum, best enjoyed on the rocks for slow sipping and appreciating those amazing flavours. It’s no surprise that it has been voted the world’s best rum eight times! Though if you prefer your rum in cocktails rather than straight up, I don’t blame you, some of my favourite cocktails are rum-based! I’ve compiled a few of my favourite recipes for you to try out for National Rum Day. We recommend using our house rum, the Chairman’s Reserve white label, but any good quality white rum will work. You can buy Chairman’s Reserve and the syrups in the Emporium, or simply make your own sugar syrup by stirring down white sugar and boiling water in a 2:1 ratio. The daiquiri is a time-honoured classic which became popular in the 1940s, a favourite amongst writers such as Ernest Hemingway. You can adjust this recipe to become a ‘Hemingway’ daiquiri by adding 20ml of grapefruit juice with the other ingredients. Havana in Cuba is the birthplace of the mojito, rumoured to have first been made around the 16th century. We hope that you all have a great time celebrating National Rum Day and hopefully making a few cocktails! We stock a fantastic range of rums in our shop the Riddles Emporium, as well as syrups and cocktail equipment. To celebrate National Rum Day, we will have 10% off all rums in the bar on 16 August including the incredible El Dorado! We also recommend that you try Del’s kiwi and banana Mai Tai (see picture above) that has so far reached the semi finals of the national Chairman’s Reserve Mai Tai competition. Just ask at the bar for a ‘Take me to Coolie Town’ absolutely incredible!